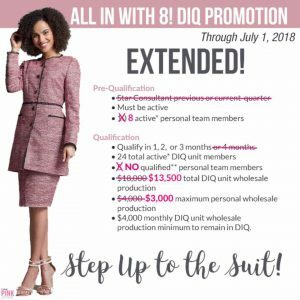 A former Mary Kay director shares her experience in DIQ and after. Here is news to some: No one succesfully completes DIQ without recruiting a friend or a family member who is simply a number. It just doesn’t happen that the full unit is completed with people who really WANT to be in Mary Kay. There’s always a friend who signs up (knowingly or sometimes without their knowledge) in order to round out the numbers. Why am I sharing this with Pink Truth? Because I’m not an exception to DIQ – I was the standard!! This is embarrassing, but it’s true. Not to make excuses, but I was being led by my senior and her senior by with sayings such as “you are a find a way, make a way gal”, “you’ll never work as hard as you do in DIQ” and “the only way to fail is to quit”. Oh and my favorite line of all while I was in DIQ: “Your debuting unit is never the unit you have a year later”. So like a good DIQ I just kept telling myself “I’ll make up for it once I’m a director and out of DIQ”. I am a very accomplished professional (have 2 degrees and numerous certifications/awards from my past career) so I was gonna get this thing done. I was bound and determined to run the race to win, and I KNOW darn well that I was doing it the same way as so many other directors were doing it. Now I do want to preface this by saying that I didn’t explicitly break the rules. I didn’t make up people or sign up pets and dead relatives. I didn’t sign up anyone without their knowledge or consent. I went through DIQ when we were required to have a unit of 30 people. My debut was July 1st. I had 31 women in the unit. 29 of them were recruited by me, I was number 30, and one was recruited by one of our unit members. 14 of the 29 were recruited between June 10 and June 29. For, 8 of the 13 mercy recruits, I paid for their first order to make them active. This cost me about $2,000 when you add in sales tax and shipping. I also contributed $4,000 of production myself during the qualification period. I cashed out part of my 401k to do so. I was a director for almost 3 years. I never in my life worked as hard as I did over that period. Even giving birth and moving across the country twice weren’t as hard as the Mary Kay hamster wheel. I got tired of it. I had to stop running. I started out weak (from my unit perspective) and finished weak (personally). I just let it go. At the end, only 2 consultants from my original unit remained, and one of those was my mom. One day I will actually sit down and figure out how much money I actually “invested” into this so called business. And it will seriously make me want to puke because it wasn’t just my money, it was my husband’s money too. All with the notion of “Honey, I promise it will get better next month”. I have avoided looking at the actual numbers, because I know how angry it will make me. Did I mention that I’m not the exception? This is how it works for almost all of the Mary Kay directors, they just won’t admit it to you. Let’s not forget the stalking all around town for the numbers to justify the Gloria, magic zip code sheets, the “playing ball” with the contacts, sending text messages soon after meeting them to see if they respond so you can count that as a contact. The trekking all over the region, I’m in the greater Washington DC area, looking to build a multi-cultural unit since that is the way that you maintain. Did your director make you keep track of how many contacts you made? Yikes! That sounds awful! I’m glad you’re out. Gloria has a success sheet called magic zipcode, 5 new contacts, 3 new bookings, 2 interviews, 2 events, and 1 new team member a week for success. As far as “playing ball” I mean once you get their cell number instead of giving them a card, text them “this is such and such from MK and it was nice to meet you. I’m wondering what day works better for you?” This lets you know if you can count on them as a contact. It works unfortunately. My Director still re-signs her mother and friends just to make a goal or special invitation, and it isn’t unheard of for people to sign fake people using fake SSNs or even dead people. Anyone who argues this clearly hasn’t been close to finishing a car or DIQ. I have never, in my 20 years around Mary Kay, heard of ANYONE who didn’t sign up a friend or family member to meet a goal. Also… TWENTY YEARS around this awful, awful company. So sad.